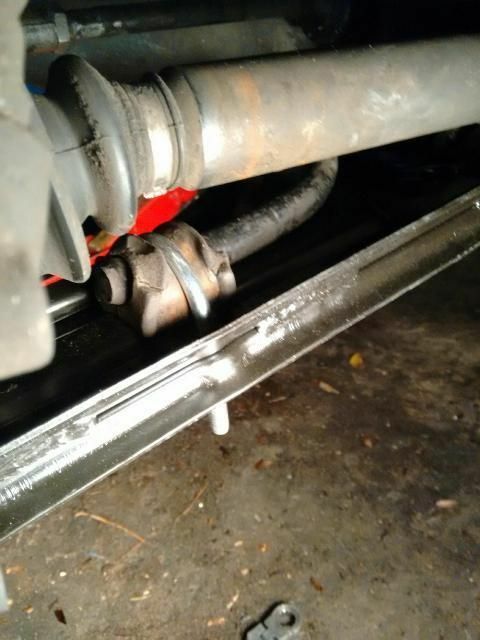 The Strap Holding the Sway bar to the control arm was broken, and allowing the Sway Bar mount to rub the CV. Well of course the part is nla at the stealership, and couldn't find one.... but I had a EUREKA moment. I measured the distance between the holes center to center.... 2". I ran to the hardware store and got a 2" SS ubolt some washers and such... Worked like a champ. Probably stronger than the metal strap that broke at the ears. The parts were 20 bucks from Moogie, but my 4.00 ss solution was a whole lot easier to handle.